There are some benefits to global warming — those extended summers, not having to wear itchy sweaters to name a few. 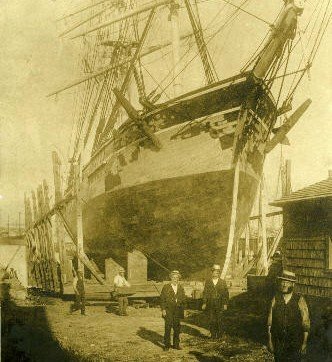 For archaeologists with the National Oceanic and Atmospheric Association searching for the lost whaling fleet of the Western Arctic, a warming planet has meant opportunity. 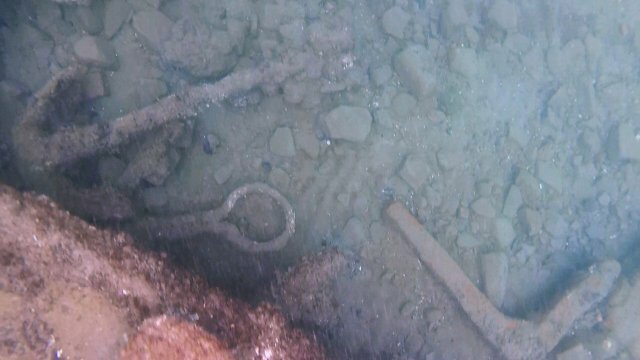 Revealed out of the melting ice on the sea floor on the far north shores of Alaska appear to be the remains of two whaling vessels named the Gay Head and the Concordia that were part of the lost fleet dating back to a single stranding event. 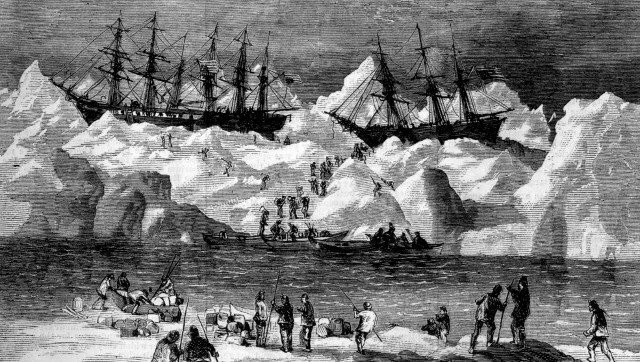 In September of 1871, a fleet of 33 ships became trapped in pack ice during the whaling season. They simply waited for shifting winds that never came, stranding 1,200 whalers in the process. Miraculously they all survived, but their vessels were lost to the ice forever. That is, until recently when the remains of at least two of them were believed found. On a hunch they might spot something, a group of researchers headed out toward a 30-mile stretch near Wainwright on the Chukchi Sea. Using sonar resonate imaging and later an underwater camera they were able to capture images of the wreck. A small anchor; a chain plate, which held rigging used to tighten masts; and a iron knee, which was likely part of the ship’s frame.